Got to sport that rare camo. 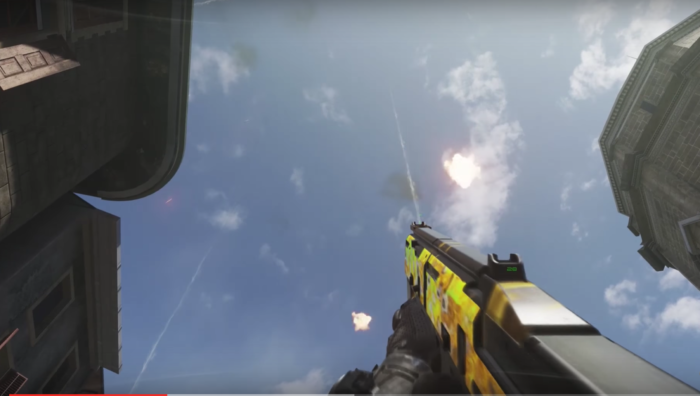 The Call of Duty games always store a treat for those who like to sport exotic camos on their weapons in the multiplayer, and that doesn’t change in Call of Duty: Infinite Warfare. Just like last year’s Black Ops III, Infinite Warfare has a “Dark Matter” camo, and it’s called the Solar amo. If you aren’t sure how to get it, you came to the right place. Here’s an in-game screenshot of what you can expect of the Solar camo. The process of getting it isn’t that hard to understand, but obtaining it will take a bit of time. The first and only thing you will need to do is get all the weapon classes for the Diamond camo. To do this, all you will need to do is get the Gold camo for each individual weapon type and then you will get the Diamond. For example, you will need to get the Gold camo for each Assault Rifle, then you will unlock the Diamond camo. You will need to do this for every class weapon that includes: Sub Machine Guns, Sniper Rifles, Shotguns, Assault Rifles, etc. There you have it, here’s all you need to know to get the Solar camo in Call of Duty: Infinite Warfare. For more tips and tricks, be sure to check back with Twinfinite.